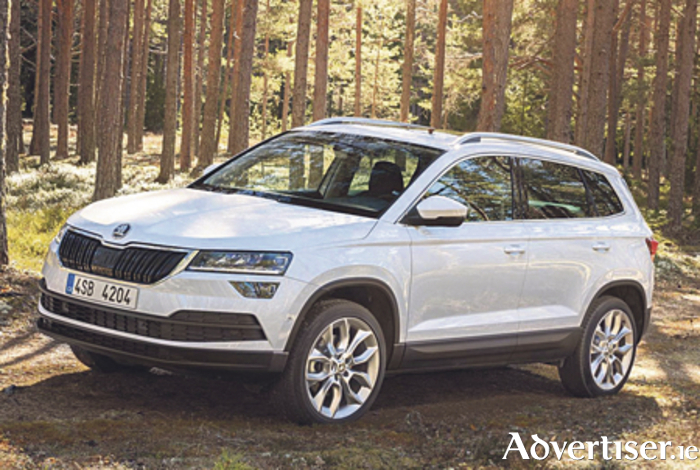 Following on from the launch of the Kodiaq earlier in the year, Skoda unveiled their new smaller compact SUV, the Karoq, at the Frankfurt Motor Show last week. The Karoq is expected to go on sale here in December and Skoda says that it offers exceptional space and functionality, ideal for five people. Also displayed in Frankfurt was their concept car, ‘Vision E’, which provides an outlook on the future Skoda’s electric strategy. Five engine variants are available from 85kW (115 bhp ) to 140 kW (190 bhp ), of which four are new. And Skoda says that a number of “simply clever” features are also included in the brand’s new compact SUV, such as the rear-seat VarioFlex system. The VarioFlex system consists of three separate seats which can be individually adjusted, and can also be completely removed. This gives the Karoq a maximum load capacity of 1,810 litres. The top navigation systems, Columbus and Amundsen, also offer a Wi-Fi hotspot, and an optional LTE module is available for the Columbus system for on board WIFI. Skoda also showed its first purely electric concept car at Frankfurt. The Vision E can drive autonomously at level 3. Level 3 vehicles can completely take over steering on motorways, control overtaking and evasive manoeuvres, accelerate and apply the brakes. Talk to Keith or Eamon at Michael Moore Skoda on (090 ) 6403555 for more details.